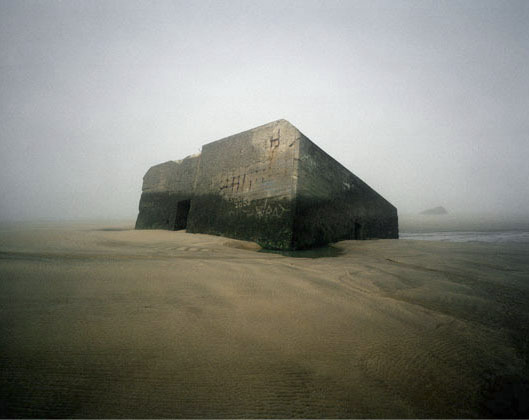 Nébuleuse is a photographic work by Guillaume Amat investigating the strange territory of the French Atlantic coasts and its military ruins from World War II, bunkers. 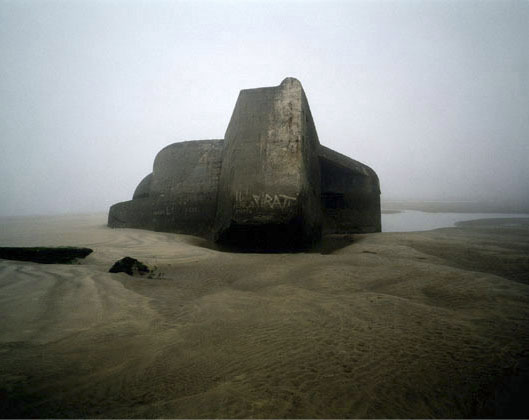 The atmosphere of the photographs helps to compose a foggy heterotopia where those bunkers appears as monolithic artifacts within an infinite sand landscape. This work integrates perfectly the series of article written about bunkers on boiteaoutils and that can be read by following this link. In April 2007, in a muffled silence, the sea disappeared, as if vanished, leaving behind only ghosts of stone. 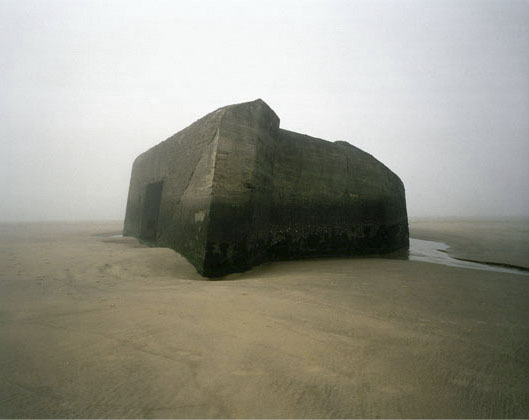 These Blockhaus, remains of World War II, slowly digested by the tides turned out to be threatening places of refuge in the middle of an unexplored desert. A haunting wind is sweeping along the coast and wrapping distant figures. 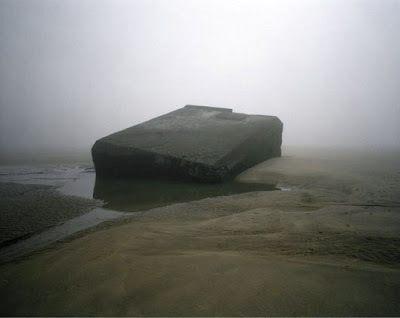 In the open sea, one could hear the muffled sound of a foghorn very much like the whispering rumbling of life. 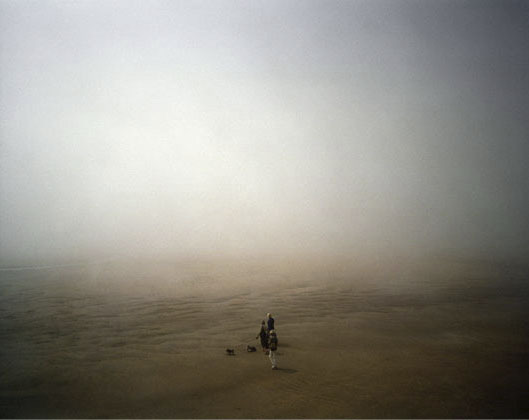 People seem to get lost in a scenery both quiet and threatening where one gets stifled by the immensity of the landscape. 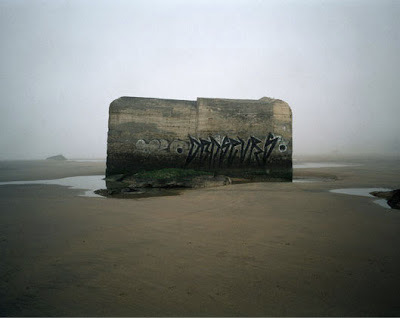 The project called "Nebuleuse" (Nebula) is part of a reflection on the question of World War II heritage, the French coast and its conversation. 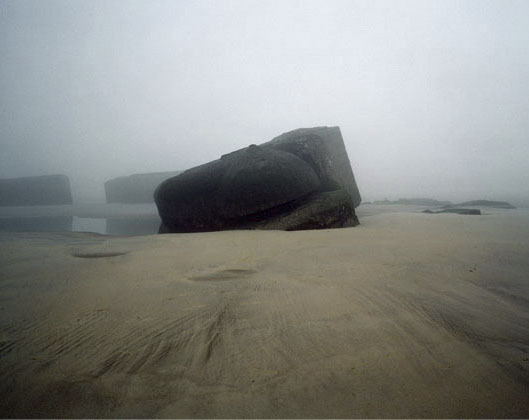 In the form of a photographic proposition, I tried to show how the hand of man and the hand of Nature can mix or be in conflict.